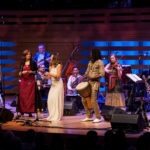 What do you think of when you think of a musical Toronto sound? For me it is a sound of diversity. 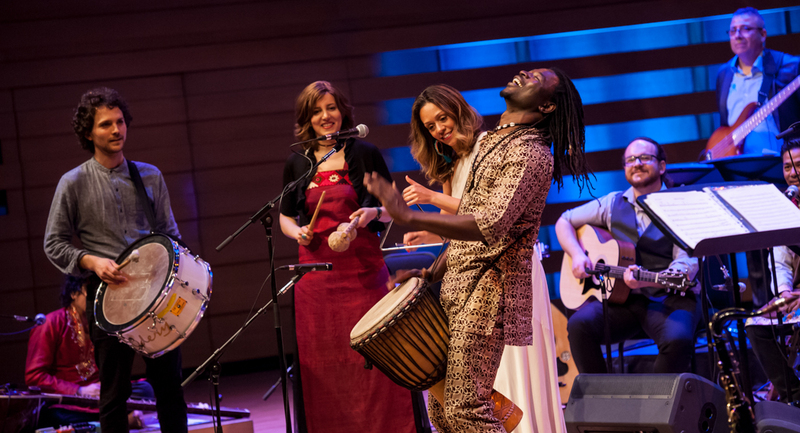 A sound made up of the cultural differences and similarities found in the Toronto multi cultural landscape. 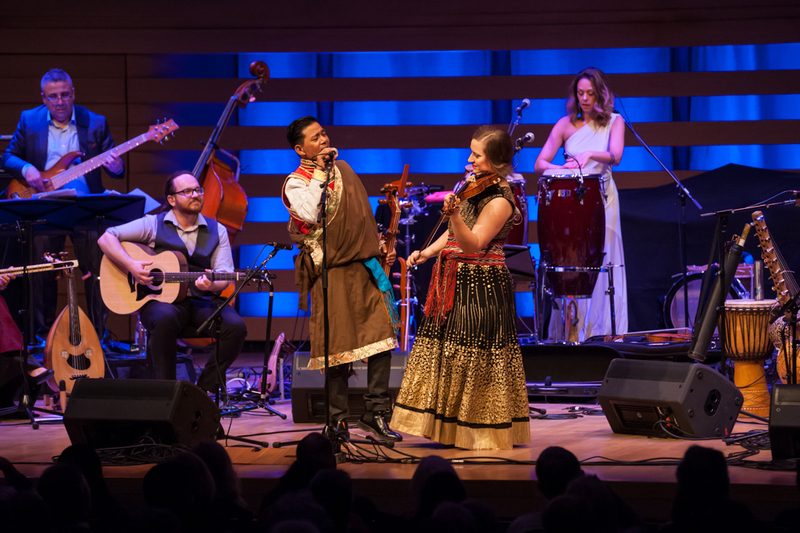 A landscape that includes the sounds of the respective residents, their backgrounds, cultures and the music and instruments that form their cultural heritage. A heritage that can be based on ancient musical scores or relatively new music. 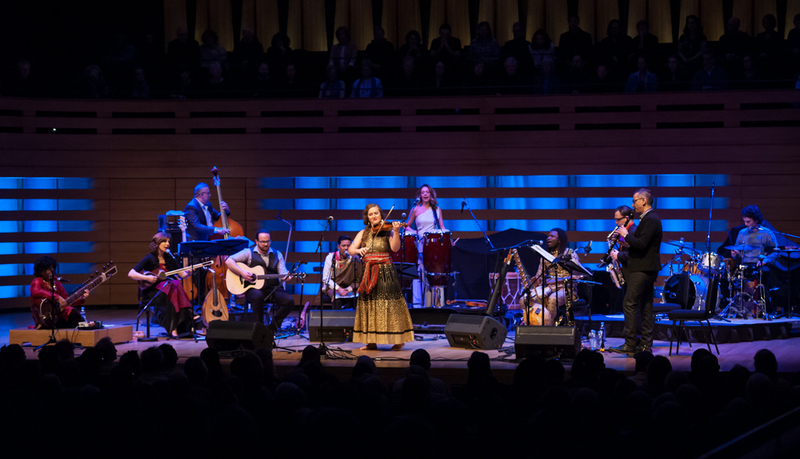 Conceived by Mervon Mehta, The Royal Conservatory Executive Director of Performing Arts. 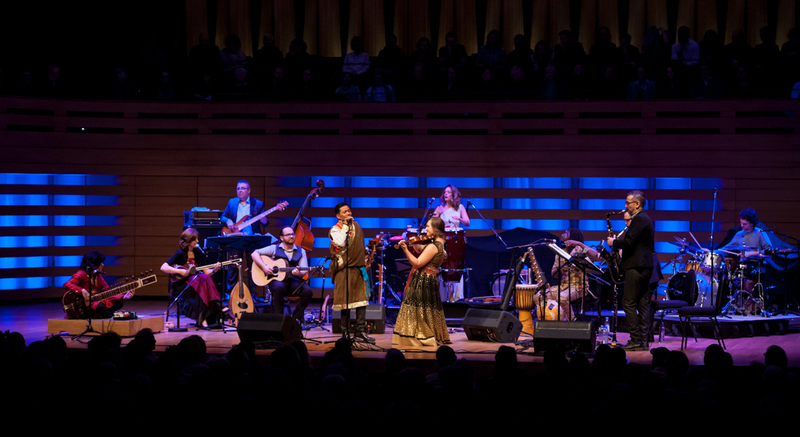 The goal of the orchestra was to come up with a group that would sound like Canada today. 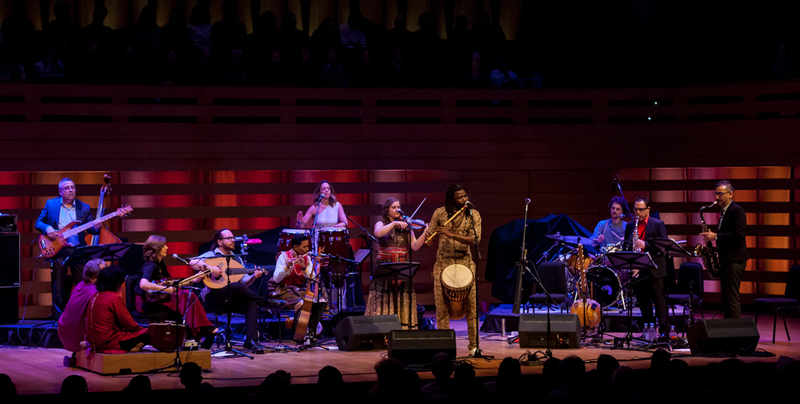 Kuné is made up of 11 musicians from around the world. 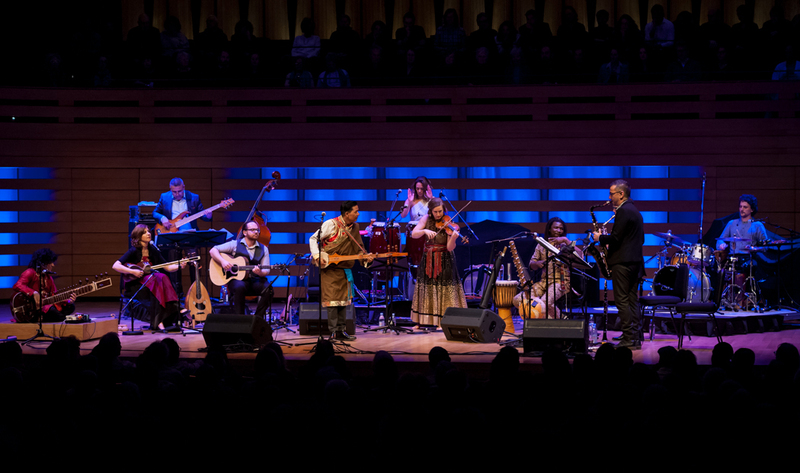 This concert celebrates the release of KUNÉ’s debut album on Universal Music Canada. 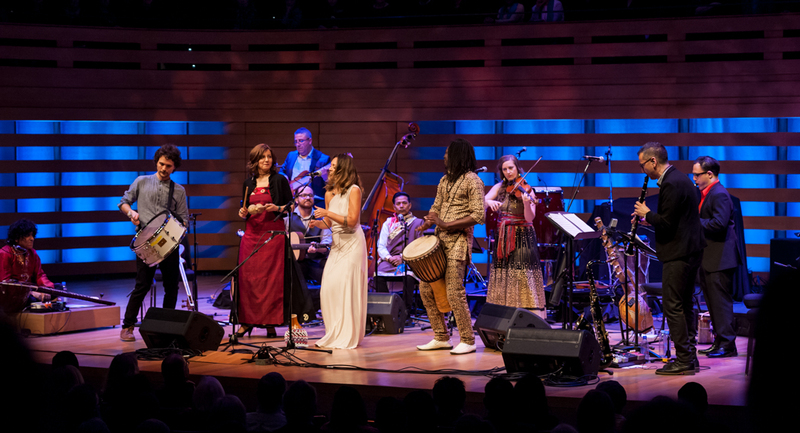 KUNÉ opened the concert, the orchestra gathered on stage — the violinist, Alyssa Delbaere-Sawchuk was featured on a composition entitled “Lloqlla” (Spirit of Rushing Water) by Matias Recharte, a flowing melody with powerful sustain from long fluid col arco on the violin. Tenor and alto saxophone adding to the glorious tones as the vocalist chant in a manner reminiscent of a northern indigenous drum circle. The next composition was written by the violinist, “We Met In Tkaranto” with violin wailing, a happy sounding Irish jig develops. An upbeat, danceable tune with an element of joviality that has the orchestra members jumping. Other members of the orchestra join in, the strings, sitar, tar, double bass and guitar are joined by the clarinet and alto saxophone. 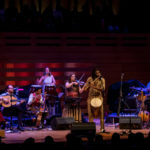 The percussionist, three members strong, Aline Morales, Matias Recharte and Lasso (Salif Sanou) provide the intricate rhythms with all manner of percussion instruments. The music, the different styles of music that was presented never lost its connection. 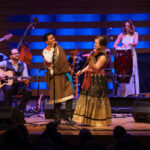 The musical direction allowed for a song featuring sitar to fit in perfectly with the alto saxophone of Luis Deniz, a player with a strong jazz sensibility. 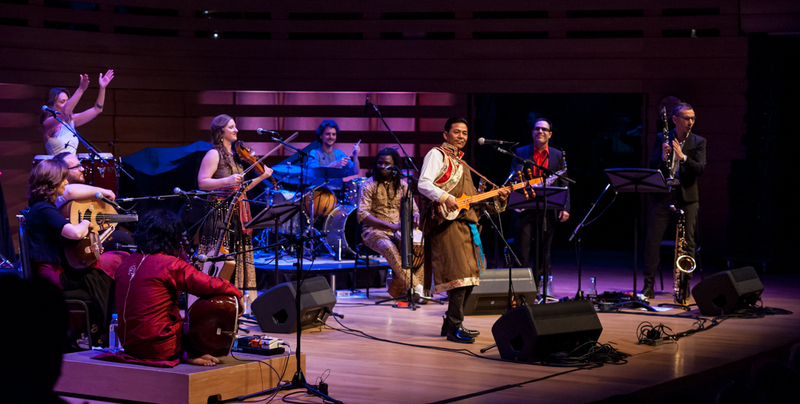 The cohesiveness of the musicians became strikingly clear as they progressed through each song. A tight musical unit that had at its core a highly developed musicality that bridged any differences in musical styles or genres. “Nava e sarosh” (Whispers of an Angel) by sitarist and vocalist Anwar Khurshid, this composition had a lovely melody. It reminded me of nature, winds blowing gently through a forest. Pleasing notes, held in sustain and taken to a high register where they are allowed to bend and howl with joy. Padideh Ahranejad of Iran, the tar player, a stringed instrument, that she plays beautifully. She introduced herself and mentioned her love of her instrument and that is apparent from how she plays it. 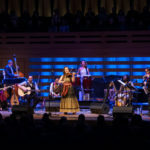 Her song, “Lahzeye Sokut” (Moments of Silence) with lyrics by Rumi was a song about her travels from Iran to Canada and her feelings at that time. The song expressed to me sounds of excitement, confusion and turmoil but with an overwhelming sense of strength and perseverance. 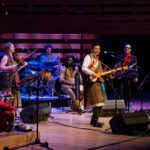 The concert had many exciting moments, even a touch of rap by Dorjee Tsering on the song “Espera, Esperanto” a composition by bassist Paco Luviano and Hannah Burgé. 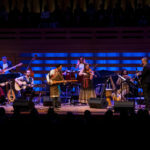 Demetrios Petsalakis provided many exciting moments playing on oud, guitar and Lyra. A wonderful feature of the concert was the playing of Lasso on his wooden flute. 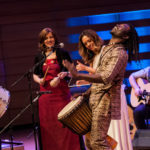 An instrument from west Africa that he played wonderfully. 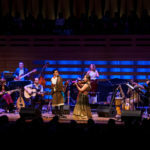 All in all a wonderful concert, fully deserving of the standing ovation by the Koerner Hall patrons at this sold out show.